Work on the latest £15 million multi-deck storage facility in the Eastern Dock will take 9 months and will create 3,000 additional spaces for vehicles to be stored. This is the eighth multi-deck at the port and this significant investment will further strengthen the port’s position as a global hub for automotive trade. 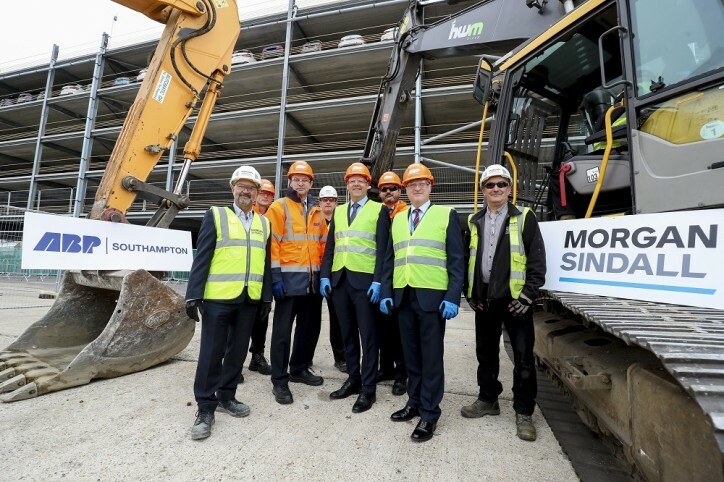 Representatives from BMW Group, one of the main automotive customers for this facility at the port, and Morgan Sindall Construction & Infrastructure, the contractor appointed for the construction, visited the site to mark the beginning of the construction work. The Port of Southampton (see also CruiseMapper) is the UK’s leading vehicle export port, handling trade worth £40 billion each year. Every month, Southampton supports 11 shipping lines which make 150 calls to 54 ports in 41 countries, making the port a huge asset for Britain.